Barnaby Dawe, the former global chief marketing officer at Just Eat, has re-emerged as the chief customer officer at Pret A Manger. Dawe takes up the newly created role in October and will be responsible for all Pret’s global marketing and communications activity. He will also lead its e-commerce business. He left Just Eat in May following a restructure that saw his job disappear and be replaced by a chief customer officer role – this subsequently went to former easyJet marketer Peter Duffy. Grey Group has launched a global consulting arm and put UK chief executive Leo Rayman at the helm. Grey Consulting will attempt to solve business problems, particularly within the areas of business and brand design, innovation and digital transformations. Rayman, who has been UK chief executive since July 2016, and chief strategy officer before that, will become chief executive of the new arm. A replacement is being sought. Wieden & Kennedy London has hired Ben Armistead as its new chief strategy officer. Armistead will join the agency at the end of October from Grey Group Spain, where he was chief strategy officer across the Madrid and Barcelona offices. He will report to Helen Andrews, the managing director of W&K London. He replaces Paul Colman, who left in January after a decade with the agency following claims of harassment. TRO, the Omnicom-owned global brand experience agency, has promoted chief operating officer Michael Wyrley-Birch to chief executive. He takes responsibility for all TRO offices, and replaces Keith O’Loughlin who left the business last year. Wyrley-Birch has been at the agency for 19 years, and took on the COO role, overseeing operations across EMEA, in 2013. He was named the most influential person in the industry in 2015, topping the Event 100 Club. Charlie Rudd, the chief client officer at Ogilvy UK and the former chief executive of Ogilvy & Mather, has quit the agency less than three months after a restructure that saw the O&M brand disappear. He is leaving without a job to go to and his departure comes just three weeks after Clare Donald, Ogilvy UK’s chief production officer, also announced that she was leaving without having a new job lined up. Goodstuff has recruited Nick Suckley, the Agenda21 founder and digital media veteran, to join the agency as digital partner. Suckley has been working as a consultant with Goodstuff over the past few months. He will now join the partner board, alongside co-founders Andrew Stephens and Ben Hayes. Part of his remit will be handling clients that want to take parts of their media operations in-house. Proximity London has promoted business director Katy Nyman to head of client leadership. In the newly created role, Nyman will lead the agency's client services department, as was, which Proximity has relaunched under a new banner to reflect its gorwing role in helping clients realise their ambitions. Nyman will report to managing director Joe Braithwaite. Engine’s content and entertainment marketing agency Trailer Park has hired senior creative James Ranson from How Now Creative. Before this he held roles in-house at ITV Creative and Viceland – where he was part of the channel’s launch team. Oliver UK is bolstering its creative team with three hires: Kevin Bratley joins as creative director, while brother-and-sister duo Jade and Lee Trott assume roles as art director and copywriter respectively. Bratley joins Oliver with three decades of industry experience, having started his career as an art director at Ogilvy & Mather in 1987. Since then, he has been creative director at agencies including Rapier, AIS London and Field Day London. Jade and Lee Trott have been a creative team for two years; the former joins from BMB and the latter from Grey London. Primesight has hired Bryan Scott as marketing director. Scott joins from The Lighthouse Company where he has been marketing and innovation director for the past three years. Boiler Room has hired Maria Murtagh-Hopkins to the newly created position of chief strategy officer. The role will see Murtagh-Hopkins lead and implement Boiler Room’s global developmental strategy to take it into new markets, diversify revenue streams and drive joint ventures. She joins from Universal Music Group, where she most recently served as SVP, creative, innovation and strategic partnerships at Globe, Universal Music UK’s official creative and commercial strategic partnerships division. The7stars has promoted head of insight Helen Rose to the newly created role of head of data, insight and analytics. 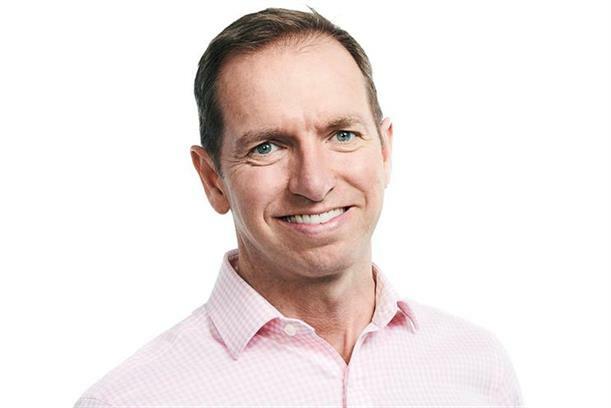 Marketing tech company Monetate has appointed Stephen Collins as chief executive. He was previously president and chief financial officer at Quantcast. Havas UK has appointed ex-Fabula managing director Jen Black as managing partner and former Ogilvy UK head of experience planning Matt Holt as head of experience strategy. The pair will work jointly across creative agency Havas London and customer engagement agency Havas helia.